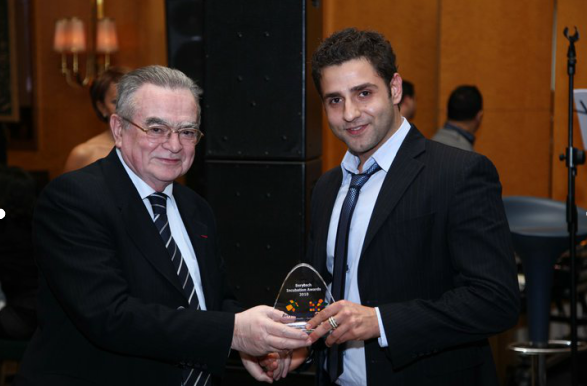 Berytech held its annual Christmas Gala dinner on December 14, 2010 at the Four Season’s Hotel in Beirut in the presence of entrepreneurs, board and staff members, Saint-Joseph University Rector and Deans, as well as a host of friends and supporters. The event featured as well the Berytech Incubation Awards ceremony that recognizes the most competitive projects presented during the 2010 edition. The Awards provide the winning projects cash grants in line with the above order of merit, up to 12-months incubation period within Berytech and Eligibility for equity financing through Berytech Fund. Mahdi Ghurayeb, top laureate for his school information system project e-Skool declared: “It is an honor to receive this award because it is a validation of all the efforts we have put into this project. Berytech’s support to date has been a mind-expanding experience and we are positive that with the support of its team, the only way is up”.